AminoA is a unique 100% Active Material Biostimulant formulation which contains every essential amino acids in the L form that is the only form that plants can assimilate. 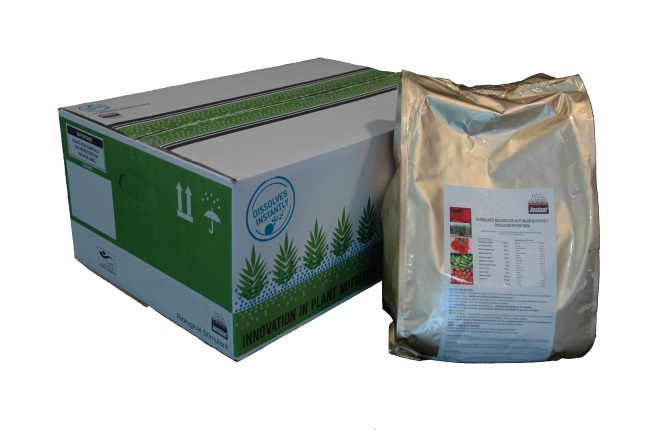 It can therefore stimulate plant growth and development especially in sub optimal growing conditions. Early drilled cereals are now at a suitable growth stage 22 to 23 where they will benefit from an application of AminoA . First applications should be made at any time after GS 19 normally at 1.5 kg/ha and followed up with a further application of 1.5 kg/ha before GS 29. With mild conditions likely for the next few weeks then opportunities for application are likely to continue until early December. We have had good results (0.81 – 1.26 t/ha) in yield improvement in replicated Winter Wheat trials from 3 x 1.5 kg/ha GS 29, 31 and 39 but these have not influenced ear size which we have been able to demonstrate from Autumn treatments. We believe it to be very important to apply Autumn treatments whenever possible. Late drilled cereals will probably not reach GS 19 until February so the timing of first applications in these crops should be delayed until then. Winter Barley in particular suffers from tiller death in the spring as it usually finds difficulty in pickup up sufficient N to ensure survival of these tillers. AminoA will help with the survival of these tillers. There is now an increasing area of Rye being grown in the UK as a biogas feedstock. Rye is a very fast developer and needs N applications in the spring probably a month earlier than Wheat. Therefore again early spring applications of AminoA will help ensure tiller survival and build the ear. Further applications of AminoA should then be made as required when the crop is under conditions of stress. Target as a priority 2nd. 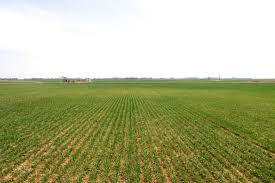 or continuous Wheat, Winter Barley and crops on variable and drought prone soil types. Applications made to fields that have had recently had large applications of animal manures are unlikely to give an economic return unless the crop is under stress from drought, waterlogging, frost or other damage. AminoA will give good results as a one off treatment to crops suffering stress and should be used at a rate of 2.5 kg/ha for this purpose. AminoA treatments as a ear wash (end of flowering) improve grain protein in Milling Wheats and have also shown yield improvements of around 3% by increasing grain weight. The product can be applied with insecticides and fungicides but always perform a bucket test first. AminoA is totally water soluble but should always be mixed through an induction hopper,premixed or washed through a screen never added directly to the spray tank. Always add to the TM last, ideally when the tank is about 80% full, to limit foaming. AminoA is packed in 15 kg bags and orders will be couriered out onto farm on the next working day provided orders are received before 1 pm.